Fictionalising the Empire: The Historical Novel and the Roman World. There is no shortage of fiction set in the Roman world, indeed one agent was heard to express the view, at a recent conference, that there was already far too much of it. There are many more Tudor novels than Roman ones, but I'm glad Hilary Mantel didn't heed any similar advice. Most novels dealing with the Roman Empire follow one of two avenues. Many are set firmly within the world of the Roman army, and require their authors (Simon Scarrow, Conn Iggulden, Harry Sidebottom) to be intimate with the workings of a carroballista, the fittings of a centurion's armour and the precise structure of a legionary cohort or a cavalry ala at a given moment in time. Participation in a re-enactment group would presumably help, but so, too, does Sidebottom's academic background as an expert in Roman military history. Others are set equally firmly amidst the political intrigues of Rome itself, in which case their authors (Robert Harris being the obvious example) might better be acquainted with a ruthless environment in government or business. Some manage to combine the two, as Robert Fabbri does in his Vespasian series. There is room for all of this, I think, and more. Probably the most successful formula is to find a new angle. We all know that elephants were used in the Roman invasion of Britain, but what were the practicalities of manoeuvring a Roman elephant through a British warzone? Neither history nor archaeology can tell us much about that, but Douglas Jackson's Claudius can help us to imagine it. Robert Harris's choice of a hydraulic engineer as the protagonist of Pompeii is similarly inspired, as is Lyndsey Davis's paid informant, Falco, in The Silver Pigs (a book initially intended as a spoof, transposing the form of the American detective novel back into antiquity, but which has developed into far more than this in the series that followed). So what remains to be written? One could tell a familiar story from an unfamiliar viewpoint (the starting point for Mantel's Tudor novels). Robert Graves chose the Emperor Claudius himself as his protagonist, but what about the perspective of his freed slave, Narcissus, who rose to be his closest adviser? Or one could build a story around a wholly fictional character. 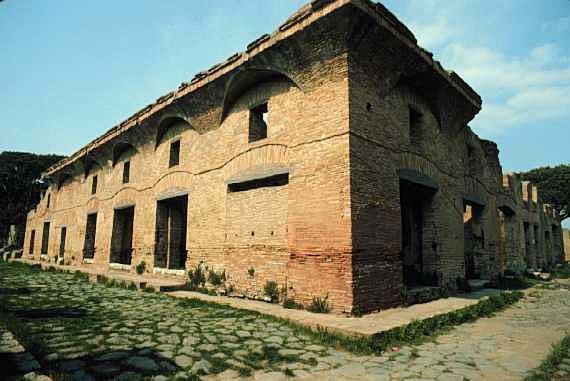 How about a brothel-keeper in Ostia? She would surely know all the gossip. Sites and museums are invaluable in imagining the world of a fictional character. The "House of Diana" in Ostia, thought by some to have served as a brothel. Leather "bikini" in the Museum of London collection. Invaluable, certainly, but no substitute for detailed research. The basic research (i.e. before writing the first sentence of the first draft) for my forthcoming novel, An Accidental King, involved a year of full-time work, much of it within the British Library, but also including visits to sites and museums in Chichester, Colchester, Thetford and Rome itself. The research continued as I wrote, and even as I edited, ensuring (hopefully) that I kept up to date with recent discoveries. I already knew a fair amount about the Roman world, but I found an invaluable starting point to be Jerome Carcopino's (1940) Daily Life in Ancient Rome. It gives details of, for example, the monetary system, the calculation of the hours of the day, and the way in which the Romans structured their daily activities. The reader of the novel doesn't need to know these details, but the writer does. The characters won't talk about them, because they are taken for granted. From the writer's point of view, they make up the unseen base of Hemingway's iceberg ("If a writer knows enough of what he is writing about, he may omit things that he knows...The dignity of movement of an iceberg is due to only one-eighth of it being above water"). What themes in Roman life would you like to read or write about? 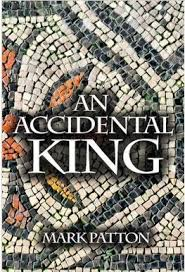 Mark Patton's novel, An Accidental King, set in the 1st Century AD, will be published by Crooked Cat Publications later this year. Britain in the 1st Century AD: Who were the Regnenses? There are maps of pre-Roman Britain which show most of Hampshire, together with the western part of Sussex, in the hands of a tribe called the Regnenses or Regni. There are other maps which show the same territories in the hands of a people called the Atrebates. All of these maps are modern attempts to make sense of a proto-historic reality that we can only ever glimpse through a glass, darkly, but where does the confusion come from? The key centres of this part of the country seem to have been Chichester (which the Romans later called "Noviomagus Regnorum" - the new town of the Regnenses) and Silchester ("Calleva Atrebatum" - the town of the Atrebates, lying in the woods), so one possibility is that the Regnenses and the Atrebates were separate peoples, with the latter territory lying to the north of the former. The reality, however, seems to have been a little more complicated. 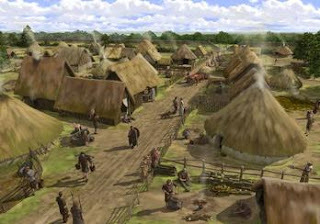 Reconstruction of pre-Roman Silchester (English Heritage). The earliest coins found in the area suggest that Silchester and Chichester were part of a single territory ruled by one man. The earliest whose name we know is Commius, who may have had a son of the same name. The younger Commius seems to have had three sons, Tincomarus, Epillos and Verica, each of whom ruled in turn. Between 30 AD and 40 AD the territory came under pressure from the Catuvellauni to the north. They siezed Silchester, and Verica fled to Rome, providing the Emperor Claudius with a pretext for the invasion of 43 AD. 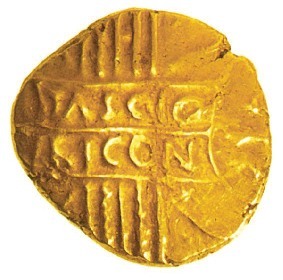 Coin of Tincomarus, son of Commius. Overthrown by his brother, Epillos, Tincomarus took refuge in Rome, where he is named as living under the protection of the Emperor Augustus. 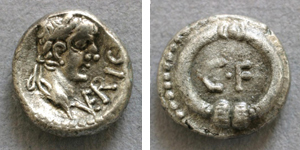 Coin of Verica. 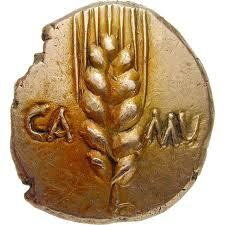 The image on the reverse is of a gold torc, and the letters CF identify him as the son of Commius. But was Verica a Regnensian or an Atrebatic prince? The clue may lie in the career of his presumed grandfather, Commius. Julius Caesar, in his commentary of the Gallic War, names him as the king of the Atrebates, a tribe in northern Gaul. Commius was, at first, an ally of Caesar (sent by him to negotiate a truce with the British tribes) but later joined Vercingetorix's ill-fated rebellion against him. His Gaulish territories forfeited, he moved to Britain and, by 30 BC, was issuing coins from Silchester. Commius and his dynasty, therefore, were Atrebates, but they were ruling on Regnensian territory. Perhaps, in the aftermath of Julius Caesar's brief, and presumably bloody, expeditions to Britain in 55 and 54 BC, it became a truth universally acknowledged that an Atrebatic prince who sailed into Chichester Harbour with a ship laden with gold must be in want of an aristocratic Regnensian bride. The two peoples may, effectively, have become one, with only two or three ship-loads of actual foreign immigrants. Commius might not have proven himself an entirely reliable Roman ally but, having established himself in Britain, Caesar and his successors may have seen him as a useful counterweight to the power of the Catuvellauni, whose king, Cassivellaunus, had led the military resistance against Caesar. The focus of trade between Britain and the Roman world shifted from Hengistbury Head (Dorset), in the territory of the Durotriges, to Regnensian/Atrebatic Chichester, and to Colchester (itself contested between the Trinovantes, left in charge by Caesar, and the Catuvellauni, who had long been menacing them). Rome was playing one tribe off against another, calling the first moves in a geo-political game that was only ever going to have one conclusion. I have posted some related images at www.pinterest.com/markpatton. Contested Territories: Essex in the 1st Century AD. 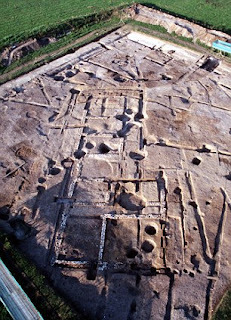 Essex may seem an unlikely war-zone but, for much of the 1st Century BC and 1st Century AD, it was very much on the front line of a tribal conflict in which the most powerful men in the world took a close interest. Most of what is now Essex (but probably extending as far west as London) lay within the traditional boundaries of the Trinovantes tribe, but they were under constant pressure from a more powerful neighbour, the Catuvellauni of Hertfordshire. The Catuvellauni, like the Trinovantes, were an agricultural people, the basis of their economy depicted unambiguously on their coinage. Coin of Cunobelinus of the Catuvellauni. When, in 57 BC, Julius Caesar invaded northern Gaul, both tribes probably saw an opportunity to make a profit by supplying his legions with grain. The problem for the Catuvellauni was that their territory was land-locked. They, however, had the greater military strength, and their king, Cassivellaunus, invaded the territory of the Trinovantes, siezing their capital, Colchester. Mandubracius, the king of the Trinovantes, fled to Gaul, and sought help from his ally, Caesar. Caesar invaded Britain in 55 BC, and again the following year, "defeating" the Catuvellauni and reinstating Mandubracius in Colchester. By 10 BC, however, a new king of the Catuvellauni, Tasciovanus, was again issuing coins in Colchester. Coin of Tasciovanus of the Catuvellauni. The Trinovantian king, Addedomarus, and his son, Dubnovellaunus, seem briefly to have regained power, before being definitively conquered by the Catuvellaunian king, Cunobelinus, at the turn of the century. The Roman Emperor, Augustus, who would surely have had spies in place on the ground, probably viewed the conflict with detached amusement, drawing on the resources of both tribes to supply his Gaulish legions whilst using the circumstances of the conflict to manipulate the terms of the trade. Coin of Addedomarus of the Trinovantes. When Cunobelinus emerged victorious, he seems to have sought and obtained friendly relations with Rome. 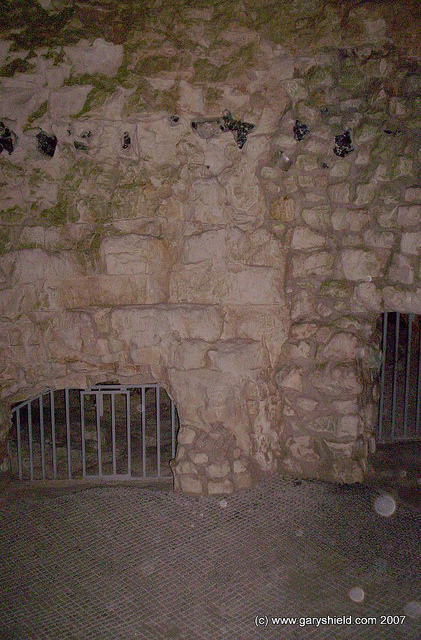 Roman wine, olive oil and luxury goods flowed into Colchester throughout his forty year reign, whilst grain, and perhaps also Trinovantian slaves, flowed in the other direction. The archaeologist, John Creighton, has commented that the picture painted by Shakespeare in "Cymbeline" (the character is based directly on Cunobelinus), of a native court with Roman ambassadors travelling back and forth, may not be so very far removed from the reality of life at Camulodunum (the early name of Colchester, and plausibly the origin of "Camelot"). Gosbecks Archaeological Park - the site of Cunobelinus's capital, Camulodunum. When Cunobelinus died, probably in 41 or 42 AD, this stability broke down. His sons, Caratacos and Togodumnus (a third brother, Adminius, had already taken refuge in Roman Gaul, having lost a dynastic struggle with his father) pursued a more aggressive policy in relation to neighbouring tribes. It was ostensibly to support the smaller tribes (including the Regnenses, of which more in a subsequent posting) that Claudius Caesar invaded Britain in 43 AD. In reality he was simply following the example of Julius Caesar in using conflicts between peoples as a pretext for military action in his own interests. A disabled man with no military experience and a precarious grip on power, Claudius badly needed a foreign triumph. Claudius's general, Aulus Plautius, crushed the British tribes, led by the Catuvellauni, in two battles in southern England, perhaps around the crossing points of the Medway and the Thames. According to some accounts, Togodumnus was killed in one of these battles, whilst Caratacos escaped with his elite warriors to continue the resistance in western Britain. Colchester became the capital of the Roman province of Britannia, and the Catuvellaunian elite, having lost the war, may have prospered from the peace that followed. The legacy of Cunobelinus's long reign may have been a population that was already largely Romanised (perhaps even bilingual), well-placed to exploit commercial opportunities, and to occupy key posts in the new administration. 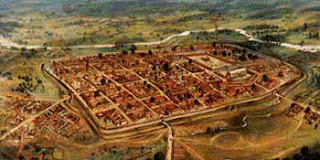 Roman Colchester in the 1st Century AD. The Trinovantes, who would have regarded Colchester as their territory, must have watched this with deep resentment and, when the Icenian queen known to us as "Boudicca" rose up against the Romans in 60/61 AD, they joined her rebellion. The three great cities that were burned to the ground, Camulodunum (Colchester), Verulamium (St Albans) and Londinium (London) were all largely or mainly Catuvellaunian, and the Trinovantes may have been as much concerned to settle scores with an ancient British enemy as they were to drive Rome and its legions from their land. In the run-up to the publication of my novel, An Accidental King, set in southern England in the 1st Century AD, I have already begun exploring some of the places (Fishbourne Roman Palace, the temple on Hayling Island, Rome itself) that will feature in the book. A significant part of the action, however, will take place in Norfolk, and for good reason. It is the heartland of the Iceni, whose queen, known to history as Boudicca (although it is unclear whether this is a name or a title) instigated the revolt of 60/61 AD, in the course of which Britain was almost lost to the Roman Empire. Judging from the amount of Iron Age gold-work that has been found in Norfolk, the Iceni seem to have been among the wealthiest of the British tribes, a wealth that was undoubtedly based on agriculture, but also, perhaps, on the breeding and raising of high-quality horses (the horse features on almost all Iceni coins, and bridle fittings are found on many sites). Prior to the revolt, the Iceni are recorded as having been Roman allies, but clearly something happened to change this (a theme to which I will return at a later date). I knew, when I started researching the book in 2009, that the relationships between the Iceni, the other tribes of Southern England, and the Roman administration would be a key theme, and that, consequently, Norfolk would feature quite prominently. John Davies's book, The Land of Boudica (Oxbow Books), was a useful starting point for my research. The location of the Iceni capital prior to the revolt is unknown. Stonea Camp, in modern Cambridgeshire, is one possibility, but I was drawn to another place, in the heart of Norfolk itself, the modern village of Thetford. There are two sites, within a short walking distance of each other, which seem to have had particular significance during the Iron Age. Both are places that the woman who became "Boudicca" is likely to have known well, and I am using them as the settings for some of the most dramatic scenes in the novel. The first is Thetford Castle. 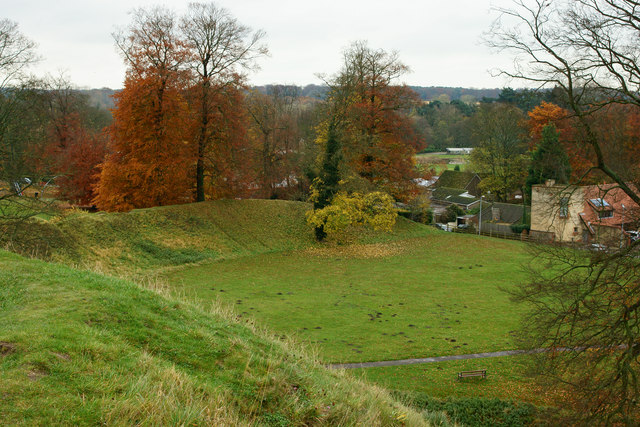 The castle itself (of which only the motte - an artificial mound - survives) dates to the early years of the Norman occupation of England, but it is surrounded by the massive banks and ditches of an earlier hill-fort. This probably pre-dates the Roman invasion by several centuries, but I decided to explore the notion that it may have retained some significance, and been used for certain ceremonies. The Iron Age bank of Thetford Castle, viewed from the top of the Medieval castle mound. The second is at Gallows Hill, to the west of the modern village. 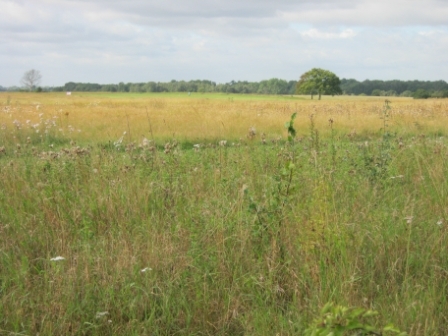 Nothing can be seen of this site today, but excavations by Tony Gregory in the 1980s revealed an enclosure which, in its final phase (perhaps around 50 AD, mid-way between the Roman invasion and the revolt) had three buildings within a rectangular enclosure, surrounded by an artificial "thicket" or "grove." 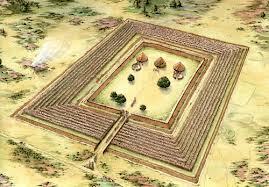 A reconstruction of the Gallows Hill site as it may have appeared in 50 AD. Nearby is a third site which, perhaps more surprisingly, will also feature in the novel. I first visited the Neolithic flint-mines of Grime's Graves as a Cambridge undergraduate thirty years ago but, when I revisited in the course of my research, I found that some of the mine-shafts had been re-opened during the Late Iron Age or Early Roman period and, since I was in search for a location for a particular scene, this seemed like too good an opportunity to miss. 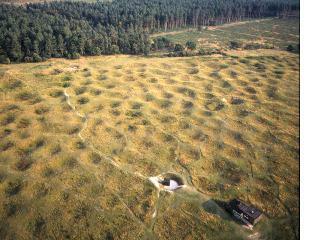 The Neolithic flint-mines of Grime's Graves, Norfolk. More photographs (coins, gold torcs, sites) relevant to this post can be seen at http://pinterest.com/markpatton/norfolk-the-heartland-of-the-iceni.